Official Congressional Invitation for the Inauguration of Lyndon B. Johnson. 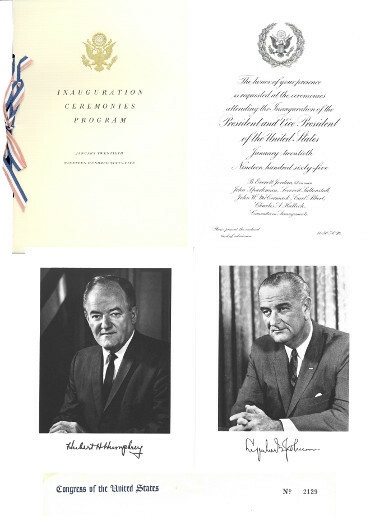 Includes invitation, ceremonies program portrait of Johnson and Humphrey. This is the official inaugural invitation set distributed to VIP's, members of congress etc. Excellent condition with original Congress of the United States numbered #2129 envelope.